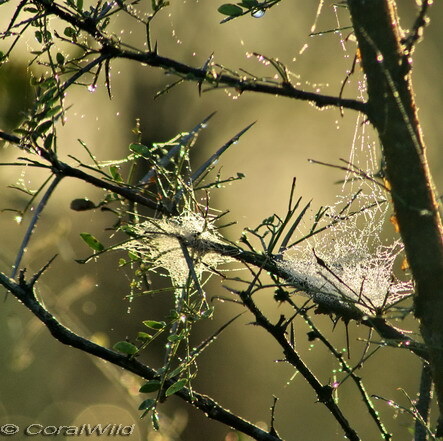 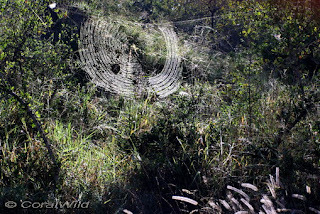 When leaving camp before sunrise on those lovely fresh mornings that only a lowveld summer can produce, who can forget the dew spangled cobwebs sparkling in the early morning light, strung across the game paths, suspended from the tiniest twigs, softening the thorny outlines of the acacia bush, turning the new day briefly into a fairy wonderland. 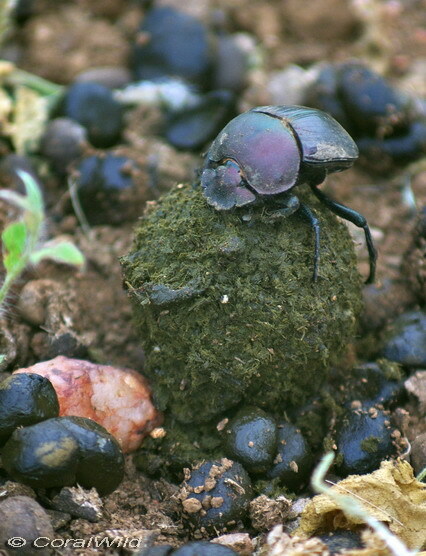 The smell of fresh animal dung is also at its strongest in early morning, attracting dung beetles of all sizes and colours from afar. 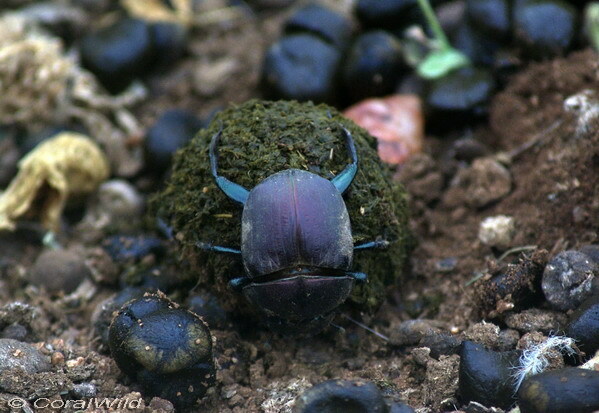 It seems that every recently-used rhino dung midden is heaving from the activity of hidden beetles. Dung beetles are rolling their dung balls in all directions whilst the air is full of more beetles flying in to this cornucopia of dung beetle delight. 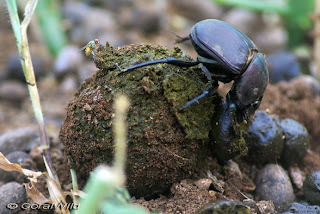 Even in areas where the extra large dung piles are missing, these versatile cleaners of the bush can make do with giraffe and smaller antelope dung pellets. 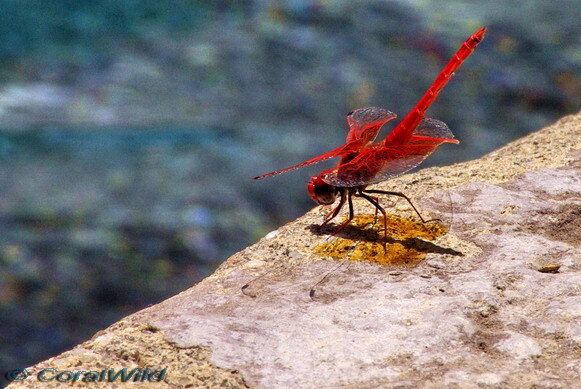 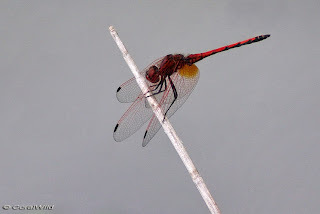 As the day warms up, those delicately-fierce, winged predators, the dragon flies dart in and out on the periphery of our vision. Almost impossible to capture on camera they zig and they zag over the water, in the deep green dimness of the trees and out again into the hot sunlight. 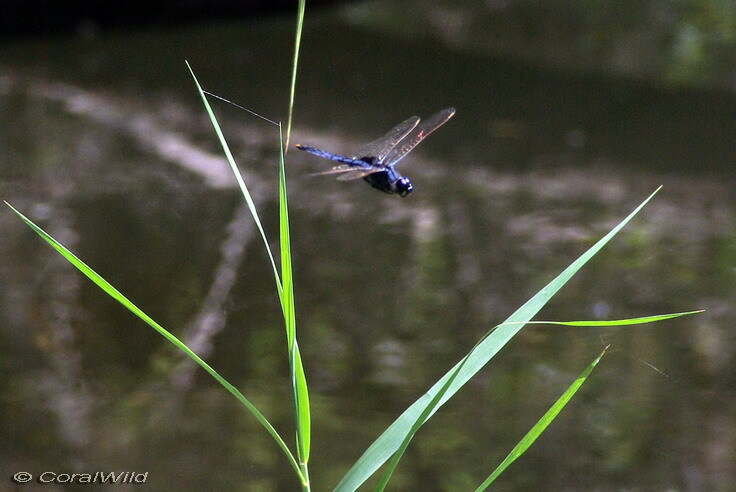 Shimmering in a multitude of primary colours, they delight the senses. Now, as this wet season draws to a close and the summer-visiting birds return to their northern breeding grounds, the nights cool and the ground bakes harder, the insects, spiders and other creepy crawlies seem to disappear almost over night. 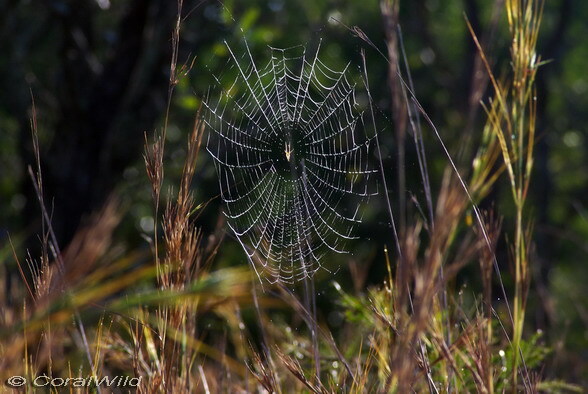 It is a reminder that the bush is withdrawing into its dry season torpor, and it will be many months before we can once again enjoy the beautiful and colourful wealth of our small wild life. 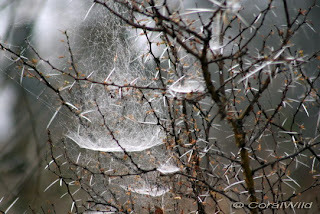 I am finally getting used to walking in spider webs - has taken me a long while. Your pictures of them are stunning Sue! 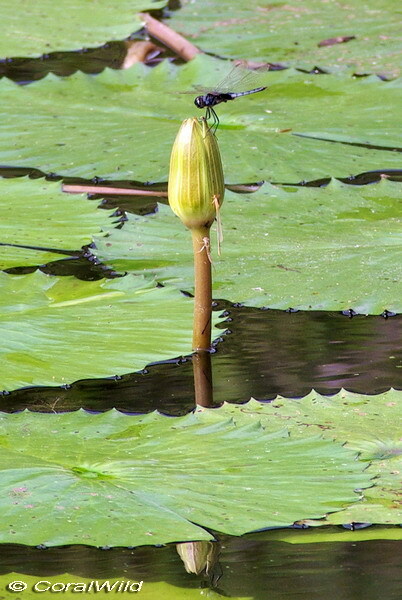 Jackie, you are better than me! I'm still not sure I can handle actually walking into spider webs - I've just learnt to internalise the shriek!